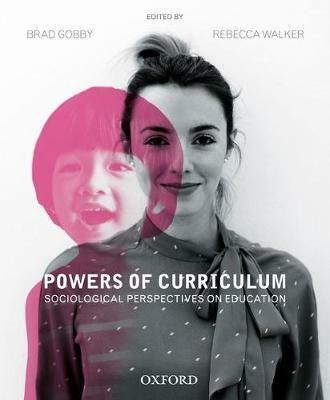 Powers of Curriculum explores education in Australia today through the notion and practices of curriculum. It broadens our conception of curriculum to include the lived experiences of learners in educational settings. It explores historical and current forces within and beyond education that constitute curriculum, and how curriculum powerfully shapes learners and their experiences of learning. As educators are central to the enactment and experiences of curriculum, the authors aim to equip readers with critical and post-structuralist ideas, concepts and perspectives that can make a positive difference to the lives of children and young people in the early childhood, primary and secondary phases of education.This resource explores a diverse range of topics related to curriculum, education, culture and society. The text is organised into three parts: Understanding Curriculum; Unpacking Curriculum Contexts; and Enacting Curriculum Experiences. The first part introduces you to the notion of curriculum and its relationship to education. The second part examines a range of social, cultural and political issues that influence the enactment and experiences of curriculum across diverse settings. The final part explores the practical dimension to your learning about curriculum. The authors encourage you to use the book’s concepts and ideas to open education to new thoughts and practices.The authors encourage readers to use the book’s concepts and ideas to create learning experiences that are rich, engaging, intellectually stimulating, respectful and meaningful from the point of view of learners.Key FeaturesExplores complex sociological and philosophical concepts in ways that are accessible to pre-service teachers and will genuinely equip them to make a positive difference in the lives of children and young people.Ask yourself questions are intended to use readers’ personal thoughts, beliefs and experiences to reflect on what they are reading.Theory in action feature encourages readers to consider how the ideas they are reading about surface in people’s experiences, and can be applied to educational contexts.Questions, activities, suggested internet search terms and resources are provided at the end of each chapter for further exploring the topics and information covered.